I recently purchased a film scanner with the intention of using it to copy new films as I develop them. As a side bonus, I found a box of old negatives from my 100% film days. Todays image is one of those, taken on my trip to Hong Kong about ~8 years ago. From memory I was using a Minolta Dynax 700si – a really nice piece of 35mm kit I regret selling. 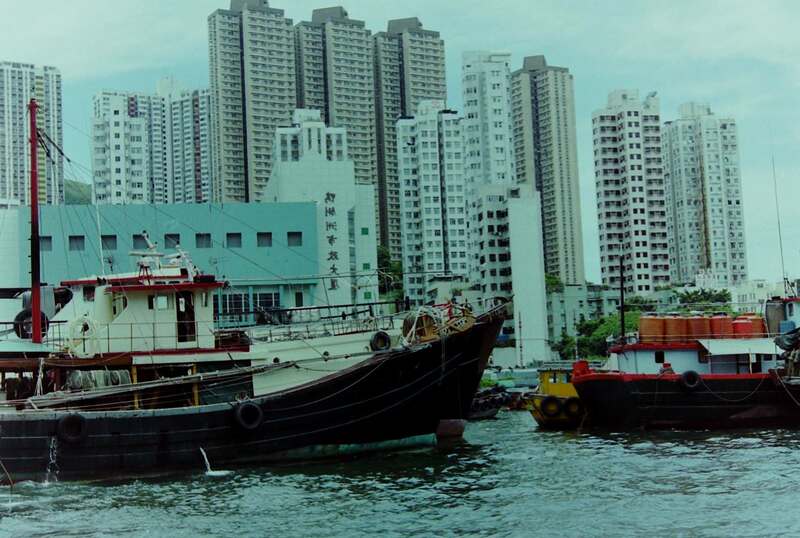 Im not sure if it is still the case, but when I visited, Hong Kong still had a small percentage of the boat people community just to one side of the harbor. I remember going on a small boat tour around their community and watching people working on engines, preparing food etc – all the things you might see on a side street on land. Aside from scanning and resizing for the net this negative scan is untouched. I love the look of old film.